In today’s fast paced life, majority of buyers depend on e-commerce websites to purchase products and services online. This high dependence on computers and internet for online transactions has resulted in increase in fraudulent activities. Moreover, fraudsters are targeting e-commerce platforms that do not employ proper fraud monitoring tools. So, what exactly is an online payment fraud? Online payment fraud describes several forms of payment fraud which can happen over the internet by a criminal or fraudster. Basically, any illegal transaction which involves stealing the money or sensitive information is termed as an online payment fraud. In this article, we will discuss the most common types of online payment fraud and how can e-commerce website combat fraudulent transactions. • Credit Card Fraud- One of the most common types of fraud is online card fraud. In this, the fraudster steals the credit card details and then uses it to buy goods online. Basically, this happens when fraudsters use a fake website to display their products/ services at a cheaper rate to attract the customers. When a customer visits the website and purchases the goods using the credit card, fraudsters steal the information and make the purchases using the credit card details entered by the card owner. In such a case, the real customer needs to issue chargeback to receive his money back. When such a fraud happens, as a merchant, you will lose the credibility as well as the trust of the customer. • Phishing- Any time if a website or an email asks you to share your private information like credit card or bank account details, then the chances are high they are prone to phishing and it is an attempt of stealing your information. • Identity theft- This is another common type of online fraud in which a fraudster steals the personal information like hijacking login credentials and uses them for fraudulent purchases. No matter what the size of your business is, you have to be prepared to fight fraud day and night. By using the right payment gateway, e-commerce businesses can eliminate majority of online payment fraud. 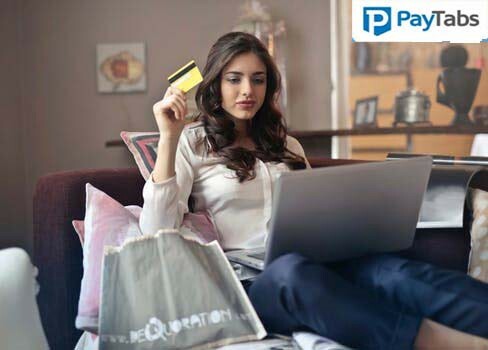 Partner with the best payment gateway for website that is PCI-DSS compliant so that the payments are handled with the highest level of security. Which is the right payment gateway for website with a full fraud stack? As you can see, online fraud can come in all sorts of shapes and sizes. Although it is difficult to completely eliminate online payment fraud but it can be managed successfully with the help of the right payment gateway. A reputable payment gateway provider will provide the right fraud screening tools that will help prevent fraud and reduce the risk of fraudulent transactions. PayTabs provides a complete stack of fraud detection tools so that you can focus completely on your business without worrying about theft and fraud. They offer a two-tier strategy which involves an in-house security layer, followed by a third-party fraud protection layer to identify fraudulent activities.